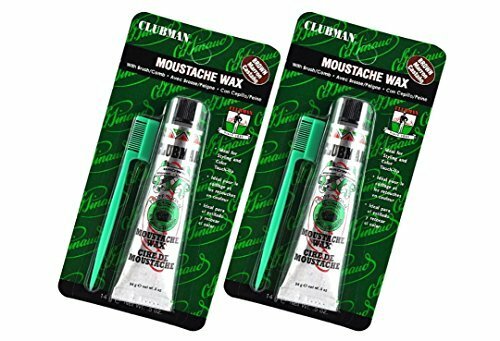 Moustaches have been around for thousands of years. All sorts of concoctions have been created to mold them, fill them in, or add a dash of color to cover gray. 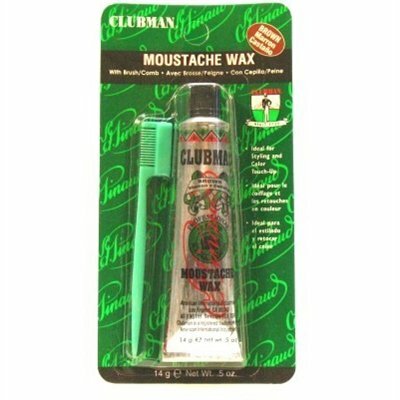 As waxes come and go, one brand remains steadfast in its commitment to men's grooming. 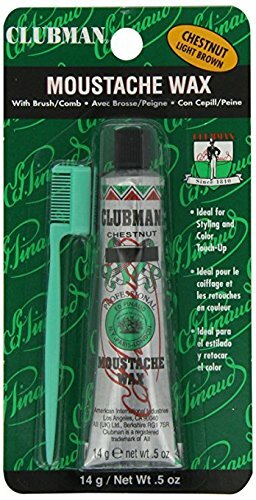 That brand is Clubman. 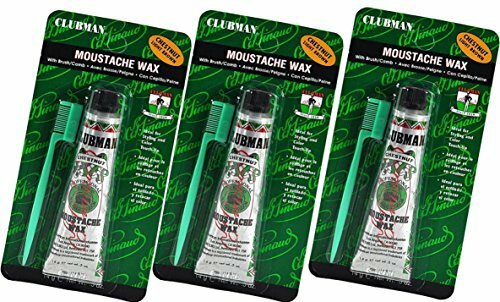 Choose from three colored waxes and one neutral to help you meet your individual moustache wax needs. 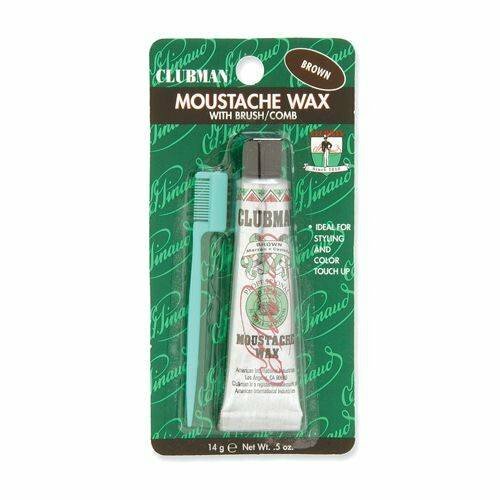 Our moustach wax begins with a base of pure beeswax. Next, we add naturally derived coconut oil plus specific ingredients to add control, volume and condition. We use food-grade preservatives to minimize any possibility of irritation or skin sensitivity. 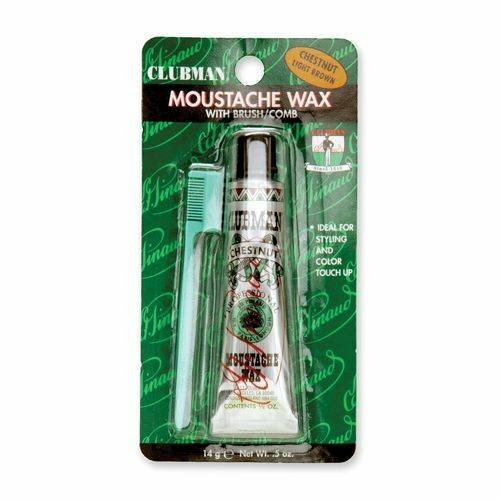 Clubman Moustache Wax is the industry standard by which other wax is judged. 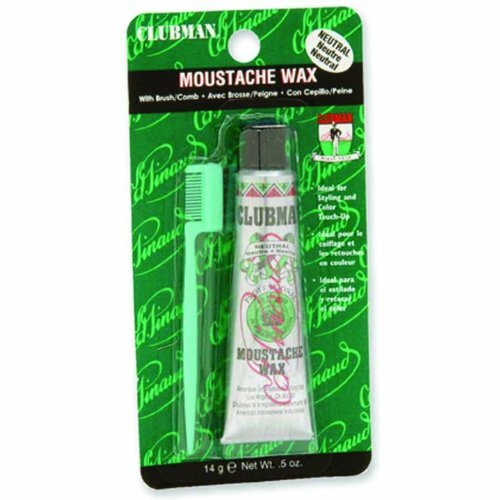 Add some color or just keep that prized 'stache in place. 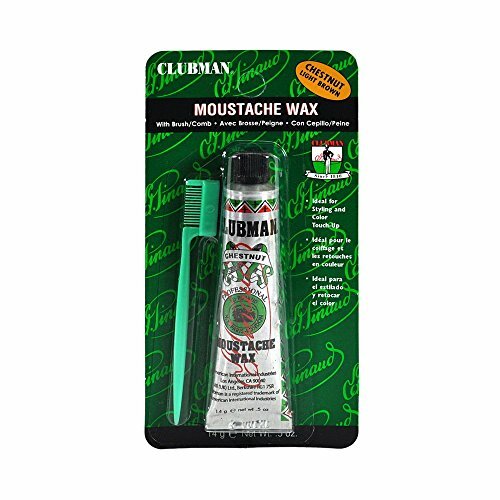 Clubman Moustache Wax is the industry standard by which other wax is judged. 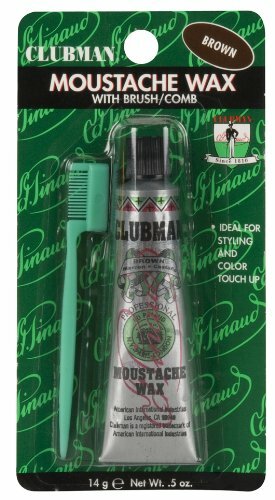 Ideal for moustache styling and color touch up. 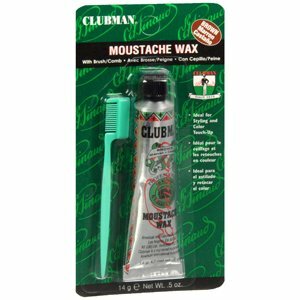 Includes applicator comb/brush. 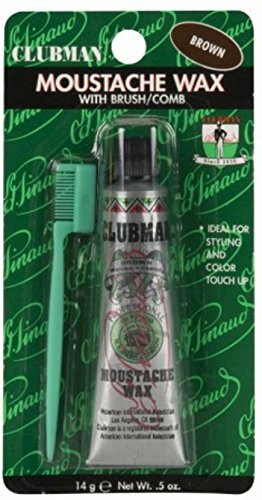 Description: Ideal for styling and color Touch-UP Directions: Apply a small amount of wax to hair using brush Blend with comb to distribute wax evenly. Repeat until desired coverage is achieved. 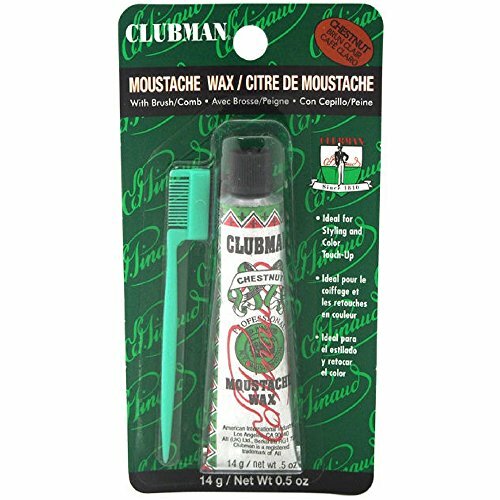 INDICATIONS:Clubman Pinaud Moustache Wax with Free Brush/CombApplicator,ChestnutUsed for moustache, beard, sideburns, beard and eyebrows. Begins with a base of pure beeswax. Makes for easy application. 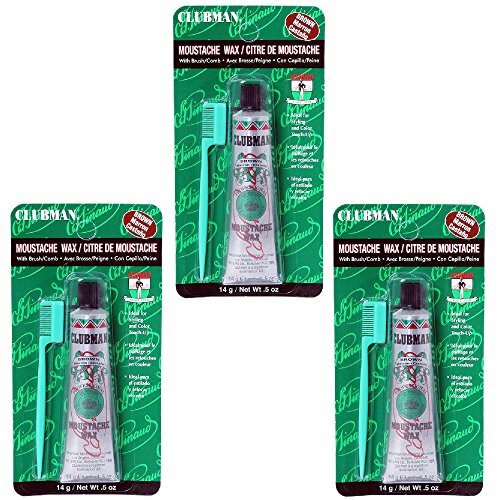 Application lasts all day, but easily washes out. 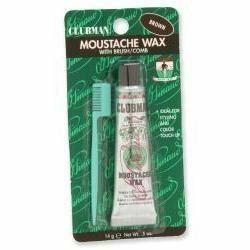 Each tube comes with a moustache comb/brush applicator. Covers or blends gray without the hassles. 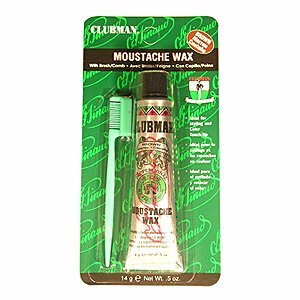 Safe to use on sideburns, beards and eyebrows.